Sometimes it’s best to take a breather from the city life. Thankfully, you don’t have to travel far to get a taste of the country in Southern California. Round up the kids, pack the van, and check out a local farm. It’s a great way to promote food literacy in your family and get some fresh air. Here are the best farm tours in the area. 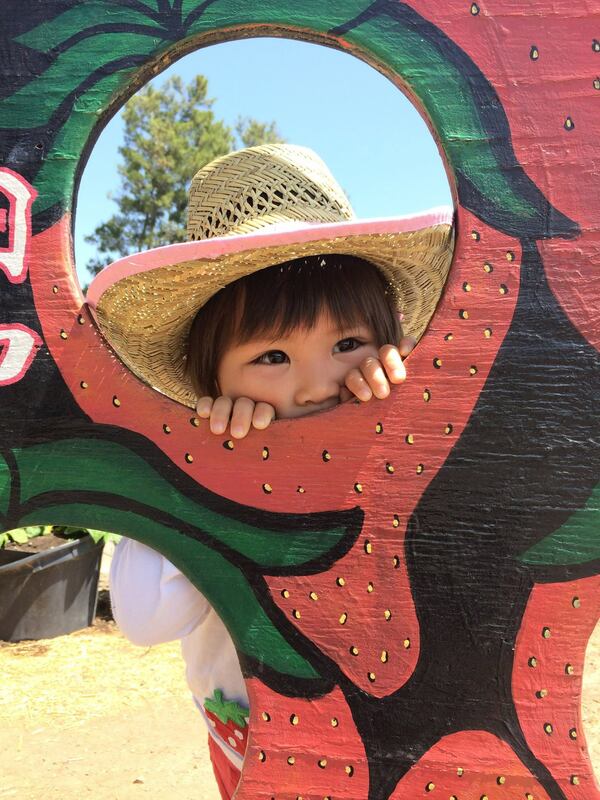 If you are traveling the coast in Camarillo and feel like spending the day enjoying some wholesome good times picking strawberries and visiting with farm animals, McGrath Family Farms is the location for you. Phil McGrath and his Irish-American family are fourth-generation Oxnard farmers who have been running the farm organically since 1995. They grow an assortment of year-round fruits, vegetables and flowers, which they sell at their farmers’ market, deliver to restaurants in the area, as well as offering public tours of their animals and grounds. The farm offers the opportunity for guests to pick their own organic strawberries for a $4 entree fee and an additional $2.75 a pound and visit with their animals for a $4 entry fee. The McGrath family has also established a community agricultural program, which offers the public classes on farm history and production. The farm is located in Camarillo, CA just off Hwy 101 and Central Avenue. Farm hours are 9 a.m. to 6 p.m. 1012 West Ventura Boulevard, Camarillo, CA 93010; (805) 485-4210. Underwood Family Farms is a mini-oasis away from the hectic city. The farm offers multiple activities that will be sure to entertain children and adults alike. From the free roaming chickens and zoo to the overhead tracks their goats use to get around the farm, there is something eye-catching at every turn. The farm also provides visitors the unique opportunity to self-pick their own produce, ranging from tomatoes and sunflowers to herbs and peppers. They offer educational school tours in addition to their parties at the farm and the Fall Harvest Festival. The mission: to fortify the connection between the consumer and the farm by directly marketing their fresh, high-quality produce. They have two locations the public is welcome to visit in Moorpark and Somis, as well as their appearances at local farmers’ markets in Ventura and L.A. County. The Moorpark location is where all of the tours are conducted. Admission starts at $3 a person on weekdays, and $6 a person on weekends. 3370 Sunset Valley Road Moorpark, CA 93021 and 5696 Los Angeles Avenue Somis, CA 93066; Moorpark – (805) 386-4660 Somis – (805) 529-3690. Tanaka Farms is the largest organic farm in Orange County and has been offering the public tours of the grounds since 1998. They were the first in Irvine to do such a thing and gladly have taken on the role of educating the community about where their food comes from and how it grows. They sell their fresh produce at their market stand, which opens at the beginning of the harvest season. The stand sells strawberries and over 60 other fruits and vegetables. Something unique about the farm is that they offer both traditionally grown and organically grown strawberries. The farm has an array of tours that give the public a glimpse into the inner workings of a real farm. Their U-pick tours (when available) allow the customer to pick their own produce directly from the soil, but if you’re just looking to enjoy the scenery the famous strawberry tours, cookout, watermelon and Pumpkin Patch Tours are also available to the public. 5380 3/4 University Dr., Irvine, CA 92612;(949) 653-2100. Seabreeze Organic Farm is located in the beautiful city of San Diego and has been a hub for health and nutrition for the community since the late 80’s. Although the owners Stephenie Caughlin and her husband Kendall Cook have been working tirelessly to make the farm as accessible to the public as possible, the location is not yet open for drop-in visits. Appointments can be made via email or phone to schedule an educational tour or farm and garden wedding. The family prides themselves on their high-quality vegetables, flowers, herbs and fruits. Customers are offered the opportunity to have all of the products delivered to their homes, and every delivery includes a bouquet of flowers along with other various fresh produce in season. The farm has adopted the simple movement called Community Supported Agriculture (CSA), which essentially means there is a mutual trust between the farmer and the consumer about the quality of the product and the continued business by the customers to buy directly from the farmer. The family appreciates the time and effort it takes to grow and buy organic and wants to spread the message. 3909 Arroyo Sorrento Rd., San Diego CA, 92130; (858) 481-0209. Tara Firma Farms was founded by husband and wife team Tara and Craig Smith, with the hopes of producing food that would connect with their community. They created their dream farm in the beautiful Sonoma County based off of an idea they got from a book one of their children brought home from school. They soon after threw out their business suits for dirty boots and jeans and moved to the property in 2009. By the end of the first year of the farm opening, they were delivering their meats, eggs and veggies to 150 families each week. In addition to the fresh delivered grocery service, members of the farm have 24/7 access to unwind in the 290 acres of rolling hills by hiking, fishing, having picnics, barbeques and more. The farm also offers free weekend educational tours and seasonal activities like the Fathers Day pig roast and the Summer Barn Dance. These classes are deigned to educate the consumer on where their food comes from and how to make an educated decision about whether to buy conventionally, organically or locally. Tara farms, like many other farms in California, is also a member of the CSA and takes pride in running their business this way. Farm tours are free every Saturday and Sunday. No prior reservations are required. 3796 I st ext, Petaluma CA 94952; (707) 765-1202. A valley gem that everyone should take the time to visit is the Pierce College Farm Center. Robert McBroom and his family run this location and they take a lot of pride in having a friendly and welcoming staff of employees or “lifers” as he calls them. McBroom understands how difficult it is for college students to excel in school as well as maintain a solid job, so he always gives students first pick when jobs become available. The farm grows an assortment of fruits and veggies including; eggplant, apricots, watermelon, corn, squash and much more. The center has a multitude of activities for children and families to enjoy including the daily fruit and produce stand, Friday night Farmers Markets, movies on the farm, the Halloween Harvest Festival, birthday parties, and during the holidays Easter weekend on the farm and Santa’s Magical Wonderland. The McBrooms feel the public should be aware of where the food they are putting in their bodies is coming from by conducting field trips of their animals, vegetables and minerals. A unique activity that helps children get a better understanding of the process of growing produce is the Pizza Farm. The activity includes an actual 125 ft. round piece of land with slices of either crops or animals that represent the toppings of an actual pizza. The children will also have the opportunity to plant their own tomatoes and take them home. 20800 Victory Blvd., Woodland Hills, CA 91367; (818) 999-6300.